I have ordered a interface for the BMW scanner 1.4.0 from china. But it seems that the drivers are just compatible with 32 bit OS. Have someone got this working on win 7 64 bit ? and tell me how ? Last edited by kneescrap; 03-16-2011 at 07:45 PM. Nobody that have the win 64 bit drivers ? The only thing that doesn't work on W7x64 is NCS Expert. Everything else is the same. I did a dual boot with a blank XP on my old laptop just for that program. Last edited by NikolaiD; 03-18-2011 at 05:46 PM. I installed this program on a friends laptop. that is 32 bit windows. and that works well. On my win 7 64 bit. it is not possible to install this driver at all do i have to run a dual boot with maybe a xp or something in 32 bit ? This is the error i get when i install it. Last edited by kneescrap; 03-18-2011 at 06:42 PM. sure! what is your OS? 32 or 64bit? then extract it, I like using 7zip never have a problem with it. 2. Click on Device manager and scroll to Universal Serial Bus controller. This is the weird part, I did it on two computes, for one of the computers this next step caused on of my usb ports to stop working, so its a gamble, however on my other computer nothing weird happened. 3. Next chose one of the USB Root Hubs and right click and then Update driver. 6. Then chose "Have Disk"
7. Browse to where you extracted the above file and select ftdibus and hit ok.
9. Just click ok through all the prompts win7 throws your way. 11. Go back to device manger and find BMWscanner that should have a yellow ! next to it. Right click, update driver and install the same driver you did for the first usb hub. It might error out. Open up BMWScanner software and it should know show up that drivers installed and connected to car! If you need any help just let me know, hope it works for you too! Great info! worked just fine for me too. Thanks. So i loaded it on windows 7 64 bit and this is what happend. then I plugged the cable into my car and plugged it into my computer and this is the error I get. any ideas on how to fix it? it seems like the program is running fine. the drives seem to be good for the USB port, but maybe not for the device itself? for whatever reason it doesn't like the cable. It does load correctly, however, then there is a virtual serial port that pops up that I cannot find the correct driver. Does anyone know how to fix this problem? That virtual serial port also pops out for me too (Win7 doesn`t find drivers for it). I tried that "serial convert A" trick but all I got was faulty USB-port. RYDE OR DIE . . .
That was it. Looked right past it the first time. Thanks! Just wondering now, meanwhile I'm unfamiliar with the electronics - is there any damage that can be done by just plugging everything in? I would certainly turn off the wifi first. can someone link me to which software you are using? I saw another site showed a link, and the product was only $32, but shipping was $25! maybe I found the link. Is this really $650? For the first connection I chosed "usb serial convert A" driver, and for the second "usb serial port" - and all is fine!!! hi, I've got a BMW e46 320cd 2006 and I wanted to plug in the "scanner" to detect what's the problem with my engine and why the engine light is still "ON" at the dash board. I'm not a professional in this so be pacient, please. I have brought "BMW READER"
but it didn't come with any drivers or software ect. I know where to plug this in but when I've downloaded the "bmw scanner 1.4.0 it ask me to turn the ignition on and click continue. Which I did. Then after that it came up with an error, that there is no drivers. what do I have to do? Can someone help me please?! does anyone know if this cable works for BMW Scanner 1.4? I'm getting super frustrated, I have tried everything on this post to get this 1.4.0 scanner working on my windows 7 64 laptop and it just wont work at all. Any other suggestions? I've downloaded the 2 drivers from both the posted links and neither work, and nothing on the disc included with the scanner worked. If only i still had my old laptop with XP on it! Thanks in advance for any help! Not to re-kindle an old thread ... I got this working just fine with the instructions above. Can this same ODB2 adapter and cable be used with any other software ? Or only the PA Soft 1.4.x stuff ? You must right click on the icon and run in XP sp3 Compatibility. I've been installing and uninstalling for an hour now until I tried that. Damn...life saver. Thank you. Worked like a charm for me. 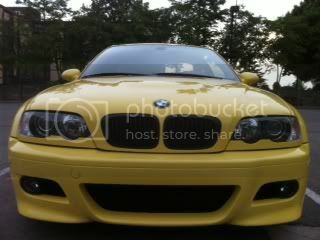 you can free download this software,here is the link:http://down.careucar.com/bmw-scanner...er-locking.zip. I download it and it can worked very well. It help me solve many problems. Kindly Note: Please connect the device to your car before you open the software.